Now that 75 percent of screen time is spent on connected devices, digital strategies have moved front and centre of most marketing plans. But what if that’s not enough? What if most people ignore company messages? Geoffrey Colon is a compelling voice at the intersection of marketing, tech, and popular culture. DJ, data punk, podcaster and author, Geoffrey is a Communications Designer at Microsoft in Redmond, WA. 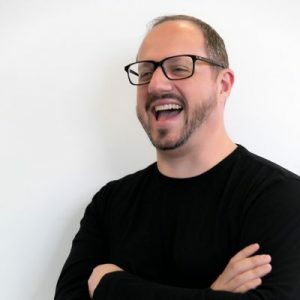 Colon has spent 20 years in various marketing capacities working for and with several of the most influential brands including Red Bull, Spotify, Netflix, American Express, The Economist, Coca-Cola, IBM, WWE and Food Network. Join us for this week’s show as Geoff propels you out of your comfort zone and into the disruptive mindset you need for future success! Geoffrey Colon is a compelling voice at the intersection of marketing, tech, and popular culture. DJ, data punk, podcaster and author, Geoffrey is a Communications Designer at Microsoft in Redmond, WA.